And even aids gum disease as the cucumber juice helps to absorb the acid in your mouth. So with Monday approaching and our weekend coming to an end some of us find our mood sinking. For those that can wake up in the morning and ‘choose to be happy’ well, more power to you, but there are some of us that think that’s a load of crap! It got me wondering if there’s any way around it and in keeping with my health kick I wondered: can diet affect our mood and if so what foods can make us feel happy? I know it can all sound rather dull – I am incorporating these things in my diet and replacing the ‘bad stuff’ but that is not to say I can’t have the ‘bad’ food when I want it. (I think it’s human nature to want something more as soon as you’re told you can’t have it.) But what I’m finding is – the more I read and the more I’m eating fresh foods and putting tasty meals / smoothies together (not bland as I assume ‘health’ food to taste) the more I’m actually preferring to eat them over some greasy take-out which I used to eat more frequently than not! Anyway, ending it there as my Sunday night is almost over! Enjoy the rest of your weekend. Posted on January 18, 2015 January 18, 2015 Categories biology, blog, Health, how to be happy, Mind, scienceTags bad mood, blog, blogging, calcium, can diet affect our mood, choice, chromium, depression, diet, folate, fresh, happy, healthy, how to be happy, how to reduce bloating, iron, magnesium, Monday, omega 3 fatty acids, PMS, vitamins, weekend, what foods make us happy, zinc2 Comments on How to be HAPPY! Enjoy! Continue reading Happy Friday Everyone! 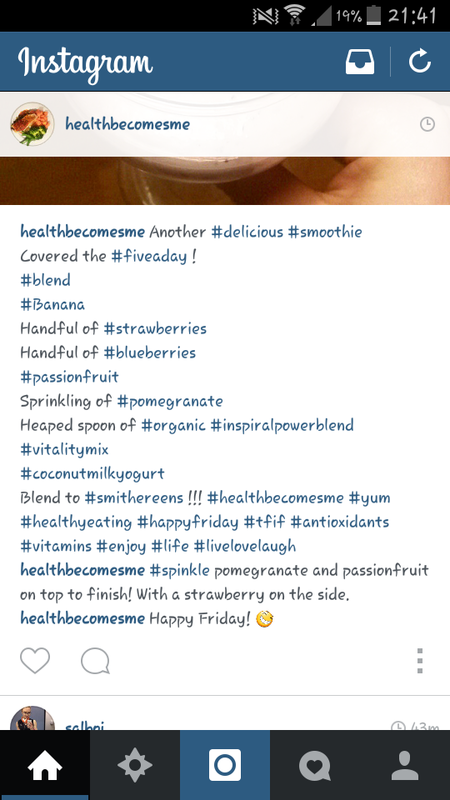 Posted on January 16, 2015 January 16, 2015 Categories blog, Food, HealthTags antioxidants, banana, blog, blueberries, coconut, delicious, energy, goodhealth, happyfriday, Health, healthbecomesme, passionfruit, pomegranate, smoothie, sour, strawberry, sweet, tfif, vitality, vitamins, yoghurt, yumLeave a comment on Happy Friday Everyone! A bit of a late blog this evening. After a phone call with my Mum I started researching ways in which food and lifestyle have positive affects on the brain. Just over a year ago my Mum had an acoustic neuroma tumour removed from her brain, they were unable to remove all of it but enough to prevent it from being life threatening. Needless to say it shook the family up. Since the operation there have been various complications, today she told me she is now looking at how to treat Synkinesis/Bells Palsy which has now developed. One of the suggestions to her was to use Botox – to me this seems incredulous – why would you think that putting poison into your face is actually curing something? So I have started investigating alternative methods and it’s a long process. What foods have an affect on the brain and can it be broken down into what part of the brain they affect? 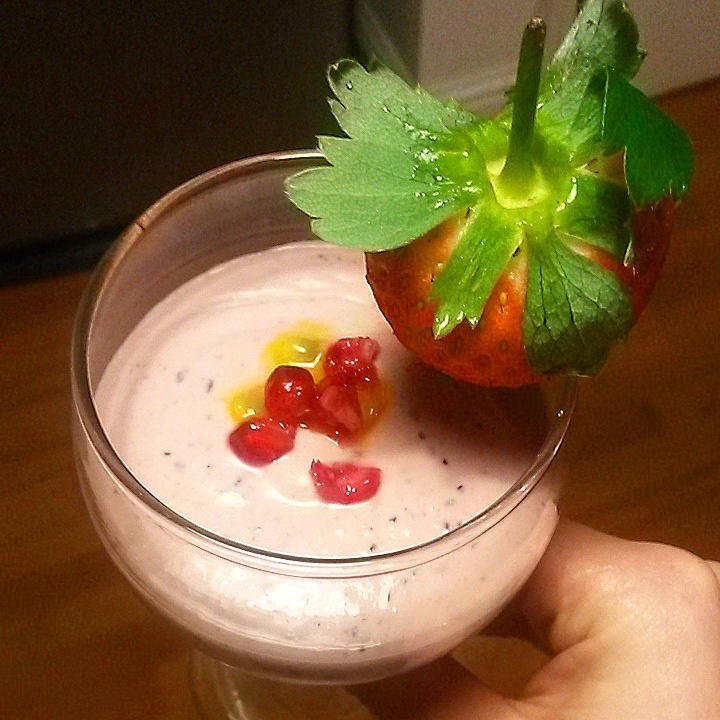 After starting 2015 working on my own personal health choices and what foods I put into my body I have learned many interesting facts about the benefits fresh foods contain and how they can help various parts of the body. Food also affects hormones produced in the body. Can I find a link that could show that certain foods included into my Mum’s diet could have a direct beneficial influence on Synkinesis? In addition to my burning question I have also found (that don’t involve surgery, Botox or drugs) facial nerve physical therapy (not provided on the NHS in her town), acupuncture and of course plenty of water are beneficial but I want to do more research and find more answers. I will keep on with my search and in the meantime I welcome any advice or information. Having made a dinner of grilled salmon on a bed of sautéd leeks with other vegetables it got me wondering….are there even any health benefits to leeks?? I picked them up because I know they have a sweet taste and I’m a bit of a sucker for that. In asking my flat mate about the health benefits she didn’t think there was much in it, disgruntled I googled and now happy I came across this great post below! I shall be eating leeks again! 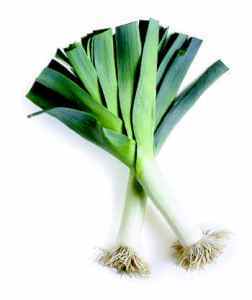 The leek is a vegetable that belongs, along with onions and garlic, to the genus Allium, however unlike its fellow members, leeks do not form bulbs. The edible part of the leek plant is a bundle of leaf sheaths called the stem or stalk. While leeks may appear unassuming or even boring, they have several health benefits that are similar to those of garlic and onion. 100 grams of leeks contain about 83g water, 1.5g protein, 14g carbohydrates and minimal fat. Leeks are a source of several vitamins and nutrients including vitamin A, vitamin B6, folate, vitamin C, vitamin K, iron, magnesium and manganese. 1. Fight cancer: Leeks are a good source of allyl sulfides which have been shown to modify certain pathways associated with the growth of tumors.